This week’s post was written for a guest blog post on American Planning Association-L.A. section’s blog, found here. What if the L.A. City Council had followed through with a plan to build a convention center in Elysian Park? What would the park look like today? How would it have affected traffic, especially during baseball season? And what about the park’s nearby residents? These are only a few of the questions that came to mind when I discovered that in March 1965, the L.A. City Council approved a proposal to build a convention center in Elysian Park. Perhaps the most perplexing aspect of the plan was the choice to construct it on 63 acres of the park’s most popular valley and picnic grounds near the Avenue of the Palms, which included the old Recreation Lodge. Even worse, this plan came less than a year after the California state legislature allocated nearly $4.2 million to L.A. County for acquisition and improvement of public parks, under the 1964 California Park Bond Act. As a result, the City Council’s Recreation and Parks Committee formulated a strategy for creating new parks and improving older ones, a necessity in a park poor city with a rapidly increasing population. The Elysian Park convention center proposal would have been an interesting candidate for the A+D Museum’s 2013 “Never Built: Los Angeles” Exhibition, which explored the ‘what ifs’ of failed plans and asked Angelenos to ‘dream big’ again. Admittedly, the Never Built show included many visionary, grand plans that “had the greatest potential” to transform land use and the built environment of Los Angeles. Perhaps that is why the Elysian Park convention center did not make the cut—it was a modest design with very little in the way of architectural innovation. Yet, a convention center in Elysian Park would have made a stunning impact on L.A.’s built environment, with two possible results: if the project followed through with promised upgrades to the park’s design and facilities, Elysian Park might have become more widely used by the greater L.A. population, much in the same way as Griffith Park. More than likely, however, is that the destruction to Elysian park’s landscaped picnic areas and the increased traffic would have had a detrimental effect on park users and nearby neighbors. 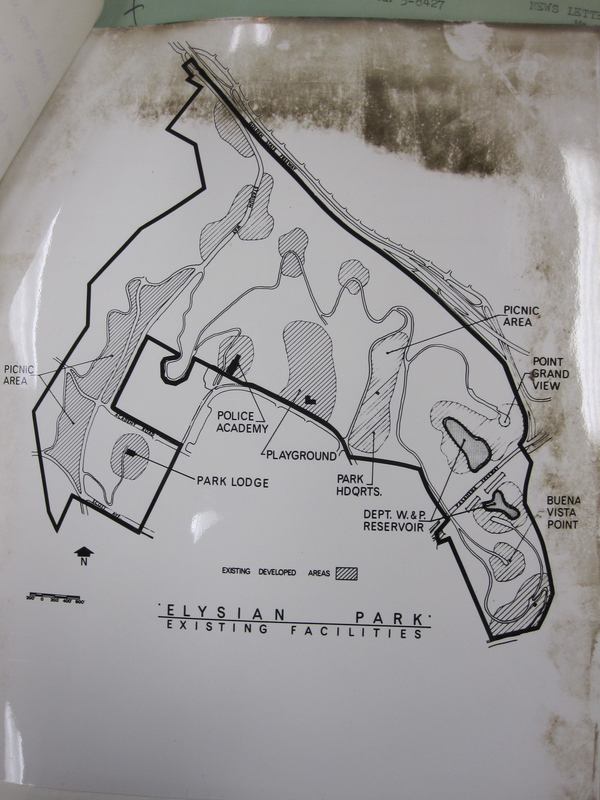 Figure 1: Map of Elysian Park, Existing Facilities. Photo courtesy of L.A. City Archives, Marvin Braude Papers, Box D-434, F: Elysian Park Correspondence, 1955-66. 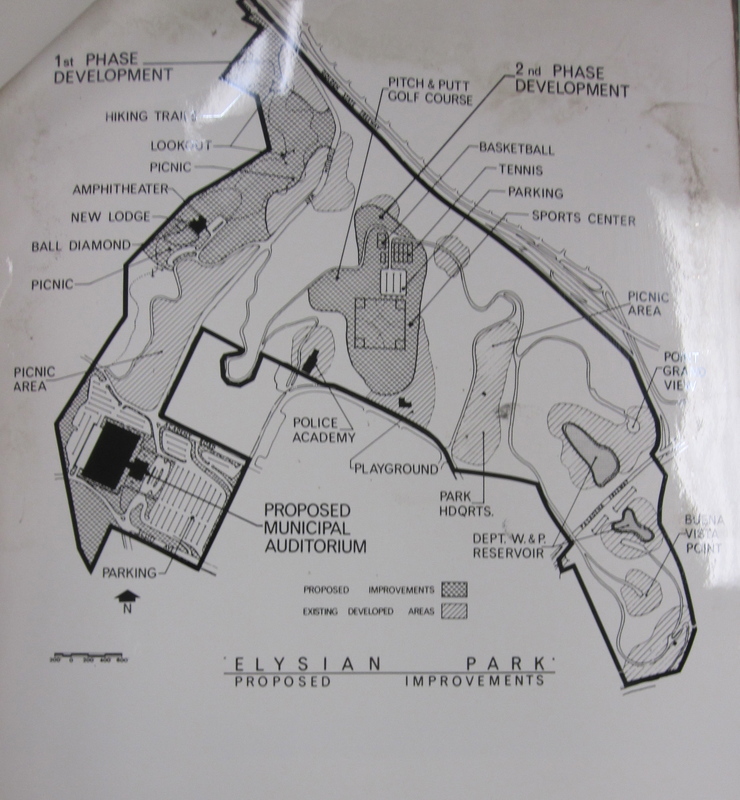 Figure 2: Map of Elysian Park, Proposed Improvements. Photo courtesy of L.A. City Archives, Marvin Braude Papers, Box D-434, F: Correspondence, 1955-66. Further, any future expansion of the convention center would have continued to erode parklands and cause further traffic and park usage problems. And what would have become of the land where the convention center now sits? Might it have been a football stadium? Would Staples Center and L.A. Live exist had the convention center been built elsewhere? Studying a city’s ‘never built’ plans can offer urban planners a history lesson in land use, and remind us that studying what doesn’t get built is often just as illuminating as studying the projects that have succeeded. In a speech to the City Council, Simons remarked that the park’s users were community groups and families who “do not own estates of their own, who cannot luxuriate in private swimming pools and who cannot afford to send their children to summer camps.” Where, she asked the Council, will youngsters go when the park is taken away from them; they “do not have chauffer-driven cars to take them to the hills and the spas. Elysian Park is their playground.” One resident wrote to the Council that with the recent “population explosion,” the city needs “recreation centers with…efficient, trained leaders…to keep our children, especially those who do not have large yards…off the streets, [and] out of mischief.” Elysian Park, she noted, was “adjacent to a poorer section of the town where more often space and playgrounds are a vital necessity.” One man recalled observing the generations of nearby families that used the park as “the backyard they didn’t have.” These letters to the City Council certainly capture why the park was so important to the neighboring communities of Echo Park, Boyle Heights, Lincoln Heights, and Elysian Heights—residents in these neighborhoods were typically working class families with small homes and relatively little disposable income to spend on leisure. Simons and the Committee, in fact, spent several weeks researching and analyzing a year’s worth of Recreation Lodge permits, and applying anthropological methods of observation to get a true sense of who used Elysian Park. As longtime residents of the Elysian Park neighborhood, Simons and other Committee members clearly understood what the park meant to the local community, and they made sure the Council members controlling the park’s fate did too. The story of the Elysian Park convention center controversy underscores the importance of studying the habits and needs of the people most directly affected by urban planning. Simons and the Committee convinced the Council to ultimately reject the convention center plan, in part, because they were able to prove it would detrimentally affect the quality of life for the park’s neighbors and users, who were already suffering from increased traffic and noise since Dodger Stadium’s arrival in Chavez Ravine. The Committee also succeeded, in part, because they operated within a national turn toward renewed interest in conservation, park preservation, and urban beautification. A slew of municipal, state, and national legislation passed during the 1960s indicated broader shifts taking place in the public lexicon about development and policy priorities. These policy shifts revealed the beginnings of an environmentalist perspective as distinct from mere conservation of resources and preservation of wilderness—and foreshadowed the power of its political presence. While the Citizens Committee saw the Elysian Park struggle as a preservation issue, and used the language of preservation and conservation throughout its campaign, the Committee was already making connections between the burgeoning environmental movement and concerns over urban renewal and the loss of green spaces. Their efforts would help pave the path for future interventions in urban renewal projects that might negatively impact open spaces and urban greenery in Los Angeles. Recently, Elysian Park’s aesthetics have been threatened by a proposal to sell off park-adjacent land owned by Barlow Respiratory Hospital, a private hospital sitting on twenty-five acres at the park’s southwestern edge, close to the Avenue of the Palms. Built nearly a century ago, the hospital desperately needs to replace existing facilities as they are beyond upgrading to meet legal seismic requirements. However, the hospital cannot afford the cost of new construction, and has proposed to finance it through the sale of nineteen unused acres to a private developer. Not only would it require zoning and land-use changes, the sale would also threaten the park’s aesthetics and quality of life for nearby residents of Echo Park, Silver Lake, and Elysian Valley. According to the Los Angeles Times, development plans include the construction of high-density housing without adequate parking spaces. Barlow’s CEO states that rebuilding plans will take into account the needs of the community to enhance the neighborhood, offer valuable services, and provide limited job creation. However, new development would increase traffic and parking congestion in the area surrounding Elysian Park’s most popular grounds. A group of local citizens has organized a protest campaign that is clearly modeled on the strategies employed by Simons and CCSEP in 1965. Figure 1:Map of Elysian Park, Existing Facilities, Marvin Braude Papers, Box D-434, F: Elysian Park Correspondence, 1955-66, Los Angeles City Archives. Figure 2:Map of Elysian Park, Proposed Improvements, Marvin Braude Papers, Box D-434, F: Elysian Park Correspondence, 1955-66, Los Angeles City Archives. Erwin Baker, “ Oratory Buffs Have a Treat in Store,“ Los Angeles Times, March 8, 1965; “ City Urged to Buy Land for 5 Parks; Commission Calls for Improvement of Two Others,“ Los Angeles Times, March 5, 1965. The $4.2 million was part of a $10 million state-wide measure. The 1964 California Park Bond Act is also known as the Cameron-Unruh Beach, Park, Recreation and Historical Facilities Bond Act of 1964, Public Resources Code Section 5096.1 – 5096.28. Elysian Park: New Strategies, II–16; Raphael J. Sonenshein, Los Angeles: Structure of a City Government, 87–88. Citizens Committee to Save Elysian Park, “ Elysian Park: What You Can Lose,“ n.d., Citizens Committee to Save Elysian Park Papers (hereafter CCSEP), Special Collections, USC Library, University of Southern California, Los Angeles, CA. Grace E. Simons, “ Elysian Park Must Be Saved for the People,“ early 1965, Box 7, F: Speeches, 1965, CCSEP Papers. Anna L. Halfries to L.E. Timberlake, February 12, 1965, Council File 122183, Los Angeles City Archives. Jack Smith, “ Elysian Park,“ in The Big Orange (Pasadena, California: Ward Ritchie Press, 1976), 99. “ Elysian Park: History and Current Issues,“ circa 1982 or so, Box 6, F: Press Coverage, Mostly L.A. Times, CCSEP Papers. Frank Glass, “ Speech Given at Highland Park Optimists Meeting,“ December 8, 1965, Box 7, F: Speeches, Mostly Convention Center, 1965, CCSEP Papers. CCSEP studied Parks Department records for June 1963 and June 1964. See Citizens Committee to Save Elysian Park, “ List of Permit Usage,“ 1965, Council File 122183, Los Angeles City Archives. http://www.rebuildbarlow.org/ ; http://saveelysianpark.org/faq/; “Editorial: Barlow Hospital’s overreach,” Los Angeles Times, April 14, 2013. See also: Andrea Thabet, “Elysian Park: A Century of Municipal Neglect.” Eden, Journal of the California Garden & Landscape History Society, 17:2 (Spring 2014): 3-9.